No commercial activity, and agriculture is no exception, can escape the implications of the 4th Industrial Revolution, the 21st century blending of the physical, digital and biological domains that is building on the digital revolution of the last century to bring massive change to agriculture and across value chains into the agro-processing industries of South Africa. As with all previous Industrial Revolutions, the 4th revolution will introduce new challenges and opportunities across industry as a whole. For the agricultural sector, it means changes through the agricultural value chain from crop production and through the agro-processing chain by improving processes, increasing productivity and reducing costs. 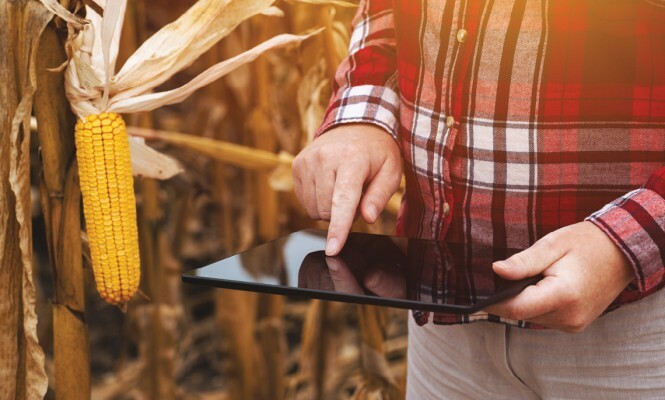 In South Africa there is no doubt that increased use of technology that begins in the fields presents opportunities to transform our agricultural base and the agro-processing industries that process agricultural products. Already, agro-processing is the largest employer within the manufacturing sector and could if challenges of this new revolution are met, further increase its importance within the local economy. According to the Department of Trade and Industry, in 2016 the contribution of the agro-processing industry to the real value added (GDP) by the manufacturing sector and the economy was 32.2% and 4.4% respectively. The contribution of the agro-processing industry to the real output of the manufacturing sector and the economy was 31.6% and 7.7% respectively. The potential of the converging technologies of the 4th Industrial Revolution lies in providing South Africa with an opportunity become early adopters of technology and accelerate its agro-processing development. This in turn would improve access to resources both up and down the agricultural value chain. The use of drones at the start of crop cycles to produce accurate 3-D maps for early soil analysis and seed planting patterns, crop spraying and crop monitoring. Start-ups have created drone-planting systems that have decreased their planting costs. The future use of nanotechnology–the manipulation of matter on an atomic, molecular, and supramolecular level. For example; Nano porous zeolites are already used to slowly release efficient dosage of water and of fertilisers for plants, and of nutrients and drugs for livestock. The development using mobile technology of the “Farm Shop”, Kenyan franchise network of agro dealers located in rural and under-served areas of Kenya. Each store has an Android-powered tablet with software that allows users to easily order inventory and track transactions in real-time, giving the company a unique ability to track prices and inventory levels. The mobile-based “iCow” app, an agricultural information service to help farmers enhance productivity of their cows. For example, it helps in the prevention-and cure-of milk related diseases by tracking each cow, enabling a farmer to maintain all relevant information specific to each animal. Esoko, an app used in 10 African countries that assists rural farmers to identify markets where their products and produce will receive the best prices. One of the challenges for agriculture and agro-processing locally is the potential negative impact more adoption of technology could have on jobs in the sector. Experience has indicated that demand has decreased for workers with lower skills level. However, in South Africa, authorities, although conceding that large enterprises in the agro-processing industry contribute significantly to income and employment, point out that the relative share of small and medium agro-processing to total employment numbers is higher than their share of total income in the industry. Accordingly, they say, small and medium-sized processing enterprises have great potential for generating sustainable jobs whilst using technology to increase their incomes. Inconsistent supplies of raw material. In addition to these challenges are those of having to achieve economies of scale, meet the high capital requirements within certain agro industries and the difficulty of competing with entrenched, major brands in the wholesale and retail space. In South Africa, many activities within the agro-processing space are characterised by large companies that are vertically integrated along the entire value chain. For instance, the poultry industry has players that have grown activities within one sector of the chain into others. By using their original outputs, for instance production of feeds, they have entered the broiler and other areas of the chain. Typically, a small operator entering the poultry value chain would have to cope with repetitive production cycles before he/she could expect to become profitable, whilst competing with established players. Ultimately, however, as the 4th Industrial revolution gains traction, competition will ensure that technologies available will become simpler and cheaper. This in turn will create opportunities for smaller operators to improve outputs and take up their places in the agro-processing chain.